There are lots of schemes and tricks that retail stores try to to use to get you to buy their products. While some are not so helpful, there are some that are really great! Today is an example of a great tactic that stores are using, and you should take advantage of it. It is "Free Shipping Day". Here at Saverr, we can definitely see the advantages of something like this. For example, if you are like me at all, you have not purchased any gifts yet for the holidays and because you always wait for the last minute. On a day where my online purchases can be made with no extra shipping costs, I will be a happy person. There are some catches though. Stores like The Gap and Macy's only offer this deal if you spend a minimun amount on your items. The good news is, though, that your items will be guaranteed by Christmas. If you added shipping onto that purchase normally, the difference is probably worth the deal. So take advantage of days like today this holiday season. It might save you a bit of money. It is always satisfying when you find a great deal. While you are in the mood for great deals, make sure to head to the app store on your iPhone or Google Play on your Android and download Saverr for all the best deals on your groceries! The holiday season is upon us, and it doesn't matter which religion you are, there is a chance you will be spending some money in the upcoming weeks. With office Secret Santa's or just a Yankee swap with some friends, you can be spending upwards of $50 per gift you buy. Year after year, we all go out and spend during the holiday season, but there are plenty of ways for you to stretch that dollar when shopping for that special someone and for the holidays in general. It is time to bring out your creative side and make your gift. Not only will this save you money, but it will show the person you made it for that your cared enough to take extra time ut of your day to create something really special. You will still probably need to purchase the supplies for whatever you make, but in the long run, it can save you money rather than just spending on something in a store. Having a tree in your house or apartment can really spruce up (pun intended) your gathering. Many people now though, are choosing a fake tree over a real one. In the long run, a fake tree can save you money because you don't need to buy a new one every year. If you are looking short term though, real trees can cost 50% less than fake trees. They also keep your home smelling great! Every year, my family wants to get our parents something awesome, but awesome means pricey a lot of the time. Instead, we just all pool our funds together to get a great gift. This can help lower your own cost, while giving you the opportunity to get something that really means a lot. 4. Have a potluck When families get together during the holidays, the host normally gets stuck with buying all of the food for the festivities. If you are hosting your family this holiday season, why not have a potluck so everyone can join in. This not only helps your wallet, but can help bring a group closer together. Now go out there and enjoy this holiday season! 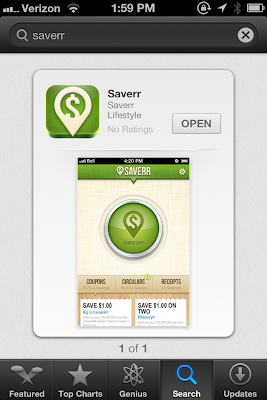 While you are at it, make sure to download Saverr to get the best deals when planning your holiday meals. Do you have any great tips for saving money this holiday season too? Let us know in the comments.